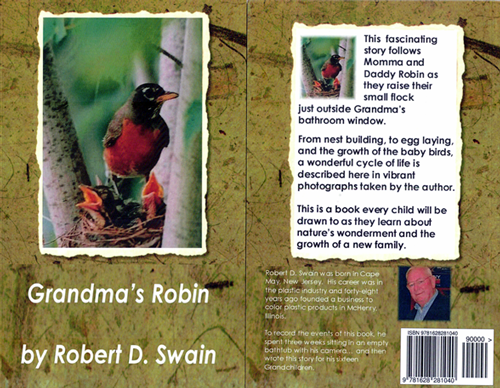 The St. Clair Theatre Guild is proud to be the recipient of the profits from local author Bob Swain’s recently published children’s book, Grandma’s Robin. Stop in to the Voyageur Restaurant in St. Clair on Thursday, November 19th and get a signed copy for your family. While you’re there please sign up to become a SCTG Member, or Renew your Membership, with a one-third discount for calendar year 2016! Buy a book or join SCTG and enjoy a free bar appetizer! This entry was posted in Events, News on November 15, 2015 by Tom Kephart.